MAKING a change from the usual swing bridge failure, now a lift bridge has failed. 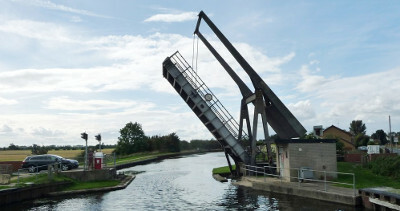 Wykewell Lift Bridge in Thorne on the Stainforth & Keadby Canal failed yesterday, Tuesday, and is closed until further notice, Keith Gudgin tells us. A section of the main structure has failed, that leaves the navigation closed as the bridge is in its 'closed' position to allow road access. It is not yet known how long it will take to repair, but it means there is no access to or from the Trent at Keadby to the Yorkshire waterways.